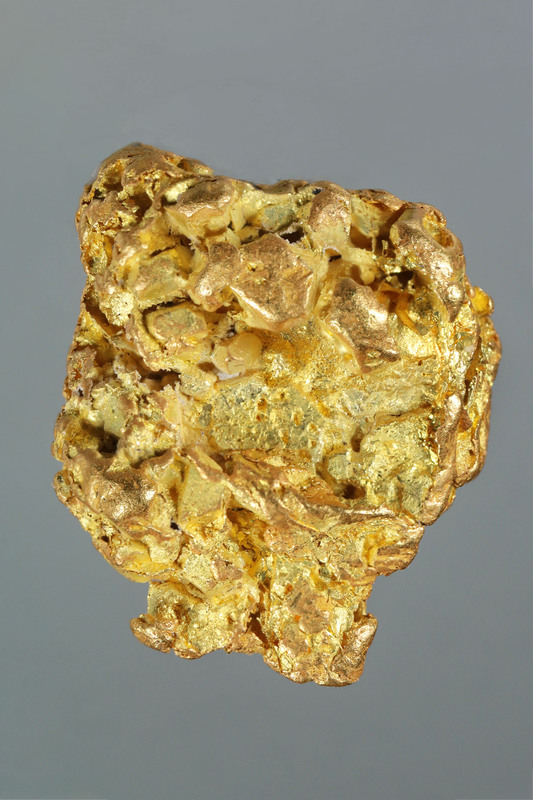 Interesting gold nugget from a recent source of gold crystals that we have come across. 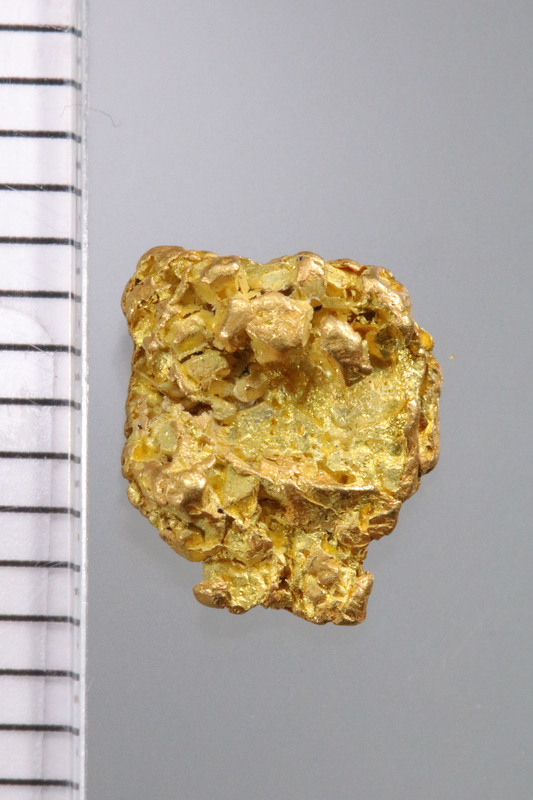 The quality of these nuggets are unmatched and are like nothing else we've seen coming out of the Alaska/Yukon region. 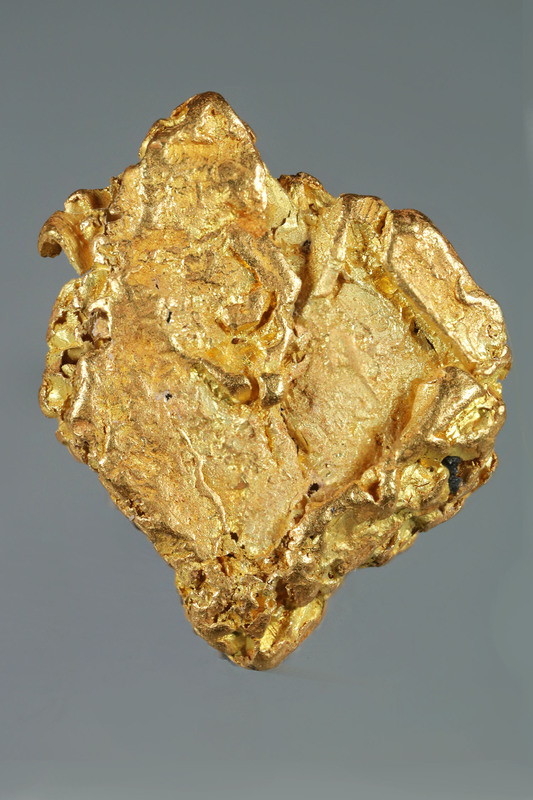 The color is telling of purity of the gold and the shape on this on is quite interesting with a flat striated plate side and the opposite side has heavily textured surface. Dimensions: 1/2" by 3/8" or 12mm by 10mm.